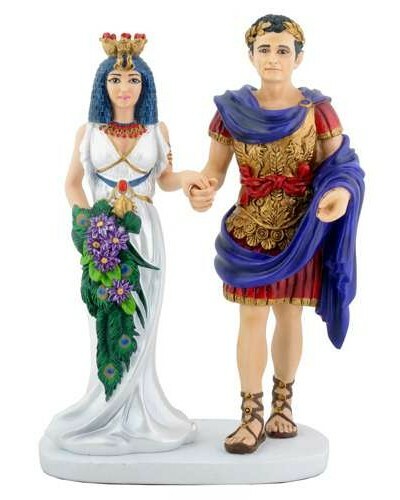 Lovely 6.5 inch statue of Marc Anthony and Cleopatra would be perfect as a wedding cake topper! 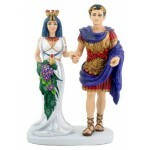 In this lovely cold cast resin statue, Cleopatra appears as she may have on her wedding day with Rome's Marc Anthony. This statue is 6.5 inches high and would be perfect as a wedding cake topper! Item Number: YT-8166 | Approximate Size (Inches): 4.75 wide x 3.00 deep x 6.50 high | Approximate Shipping Weight: 1.50 lbs.